Government and humanitarian agencies dispatch emergency response units to assist people in aftermath of Cyclone Idai. Chimanimani, Zimbabwe – A week since Cyclone Idai made landfall in eastern Zimbabwe, authorities and aid groups are stepping up relief efforts on the ground as the hardest-hit areas are slowly becoming more accessible. The government and humanitarian agencies have dispatched food supplies and emergency response units in the region to assist thousands of people struggling to survive following the destructive storm. As relief aid and medical and sanitation kits arrived in Chimanimani, a remote mountainous town that was unreachable by road until recently, hundreds of displaced residents took up refuge in a primary school, while others moved to the churches on higher ground for safety. Jennifer Mahembe, one of those sheltering in one of the classrooms at Ngangu Primary School, said that since last Friday’s storm, she had been unable to go back to her destroyed home. “My house is full of mud, everything sank in there and some of my property was taken by the rain,” the 48-year-old told Al Jazeera. “I can’t walk to my house, I want to go, but I can’t. I stood in the water for too long so my legs hurt,” she said. “Everything was buried in the mud. Even the clothes I’m wearing are borrowed from other people and the blankets I use to sleep aren’t mine, I have nothing. We are not getting enough here, we have something but we need more,” added Mahembe, expressing hope the inflow of aid would greatly improve the limited food rations. Along with Zimbabwe, Cyclone Idai has also affected Mozambique and Malawi, with the collective death toll extending into the hundreds. Numbers are expected to rise in all three southeastern African countries as flood waters recede and community efforts to recover bodies that may have been swept downstream intensify. On Friday, Zimbabwe’s President Emmerson Mnangagwa, who visited the Chimanimani area on Wednesday, declared Saturday and Sunday as national days of mourning. The UN Office for the Coordination of Humanitarian Affairs (UNOCHA) has meanwhile warned that there is “heightened potential for a communicable disease outbreak” such as cholera or malaria in Zimbabwe’s cyclone-affected region, particularly in the Chimanimani area where the water supply system and power lines have been seriously damaged. The UN is in the process of establishing temporary reception centres equipped with emergency medical supplies as well as primary healthcare kits in various areas of displaced groups. 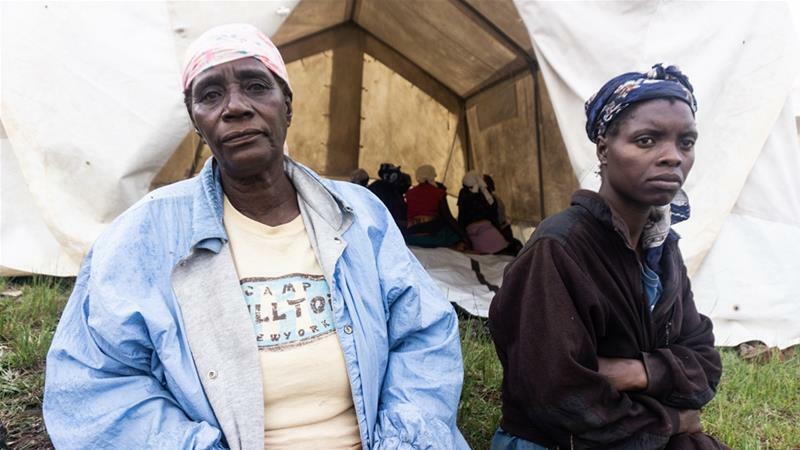 Rosa Mukamba, 72, said three of her relatives had been swept away by landslides, while she had been forced to seek refuge at a temporary centre at Skyline, a low-range mountain summit 20km from Chimanimani, because her belongings and medication were swept away by the muddy rains. “My children were taken by the water; their homes aren’t there more. Me I don’t have anything so I’m here,” she said. 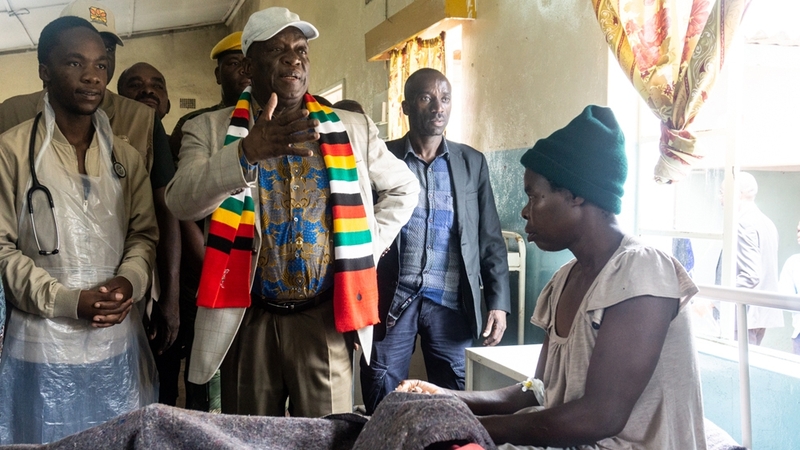 Further away, at Chimanimani Rural District Hospital, volunteer doctor Lindo Sithole said water purification tablets and chronic medicines were in short supply. “Currently, we don’t have drugs to treat people with chronic illnesses, but there are people with diabetes, high blood pressure or hypertension whose medicine got lost when their houses got flooded,” he told Al Jazeera.